"Hayabusa will be the first space mission to have made physical contact with an asteroid and returned to Earth," said Tommy Thompson, NASA's Hayabusa project manager from the Jet Propulsion Laboratory in Pasadena, Calif. "The mission and its team have faced and overcome several challenges over the past seven years. This round-trip journey is a significant space achievement and one which NASA is proud to be part of." Launched May 9, 2003, from the Kagoshima Space Center, Uchinoura, Japan, Hayabusa was designed as a flying testbed. Its mission: to research several new engineering technologies necessary for returning planetary samples to Earth for further study. 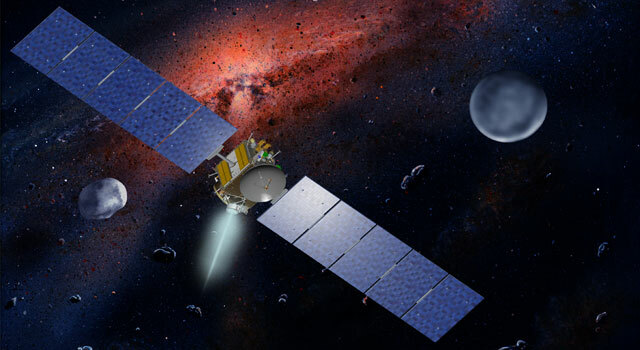 With Hayabusa, JAXA scientists and engineers hoped to obtain detailed information on electrical propulsion and autonomous navigation, as well as an asteroid sampler and sample reentry capsule. The 510-kilogram (950-pound) Hayabusa spacecraft rendezvoused with asteroid Itokawa in September 2005. Over the next two-and-a-half months, the spacecraft made up-close and personal scientific observations of the asteroid's shape, terrain, surface altitude distribution, mineral composition, gravity, and the way it reflected the sun's rays. On Nov. 25 of that year, Hayabusa briefly touched down on the surface of Itokawa. That was only the second time in history a spacecraft descended to the surface of an asteroid (NASA's Near Earth Asteroid Rendezvous-Shoemaker spacecraft landed on asteroid Eros on Feb. 12, 2001). Hayabusa marked the first attempt to sample asteroid surface material. The spacecraft departed Itokawa in January 2007. The road home for the technology demonstrator has been a long one, with several anomalies encountered along the way. But now the spacecraft is three days away from its home planet, and the Australian government, working closely with JAXA, has cleared the mission for landing. 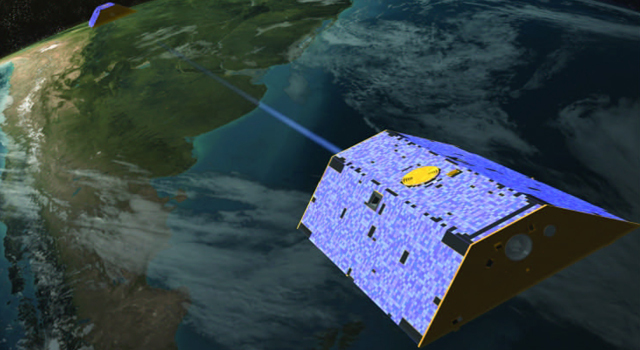 A team of Japanese and American navigators is guiding Hayabusa on the final leg of its journey. Together, they calculate the final trajectory correction maneuvers Hayabusa's ion propulsion system must perform for a successful homecoming. "We have been collaborating with the JAXA navigators since the launch of the mission," said Shyam Bhaskaran, a member of JPL's Hayabusa navigation team. "We worked closely with them during the descents to the asteroid, and now are working together to guide the spacecraft back home." To obtain the data they need, the navigation team frequently calls upon JAXA's tracking stations in Japan, as well as those of NASA's Deep Space Network, which has antennas at Goldstone, in California's Mojave Desert; near Madrid, Spain; and near Canberra, Australia. 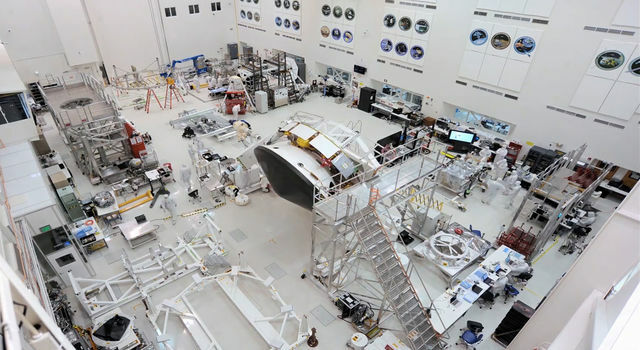 In addition, the stations provide mission planners with near-continuous communications with the spacecraft to keep them informed on spacecraft health. "Our task is to help advise JAXA on how to best get a spacecraft traveling at 12.2 kilometers per second (27,290 miles per hour) to intersect a very specific target point 200 kilometers (120 miles) above the Earth," said Bhaskaran. "Once that is done, and the heat shield of the sample return capsule starts glowing from atmospheric friction, our job is done." While atmospheric entry may be the end of the line for the team that has plotted the spacecraft's every move for the past 2 billion kilometers, NASA's involvement continues for the craft's final 200 kilometers (120 miles), to the surface of the Australian Outback. A joint Japanese-U.S. team operating on the ground and in the air will monitor this most critical event to help retrieve the capsule and heat shield. "This is the second highest velocity re-entry of a capsule in history," said Peter Jenniskens, a SETI Institute scientist at NASA's Ames Research Center in Moffett Field, Calif. "This extreme entry speed will result in high heating rates and thermal loads to the capsule's heat shield. Such manmade objects entering with interplanetary speed do not happen every day, and we hope to get a ringside seat to this one." Jenniskens is leading an international team as it monitor the final plunge of Hayabusa to Earth using NASA's DC-8 airborne laboratory, which is managed and piloted by a crew from NASA's Dryden Flight Research Center, Edwards, Calif. The DC-8 flies above most clouds, allowing an unfettered line of sight for its instrument suite measuring the shock-heated gas and capsule surface radiation emitted by the re-entry fireball. The data acquired by the high-flying team will help evaluate how thermal protection systems behave during these super-speedy spacecraft re-entries. This, in turn, will help engineers understand what a sample return capsule returning from Mars would undergo. The Hayabusa sample return capsule re-entry observation will be similar to earlier observations by the DC-8 team of NASA's Stardust capsule return, and the re-entry of the European Space Agency's ATV-1 ("Jules Verne") automated transfer vehicle. Soon after the sample return capsule touches down on the ground, Hayabusa team members will retrieve it and transport it to JAXA's sample curatorial facility in Sagamihara, Japan. There, Japanese astromaterials scientists, assisted by two scientists from NASA and one from Australia, will perform a preliminary cataloging and analysis of the capsule's contents. "This preliminary analysis follows the basic protocols used for Apollo moon rocks, Genesis and Stardust samples," said Mike Zolensky, a scientist at NASA's Astromaterials Research and Exploration Science Directorate at the Johnson Space Center, Houston. "If this capsule contains samples from the asteroid, we expect it will take a year to determine the primary characteristics of the samples, and learn how to best handle them. 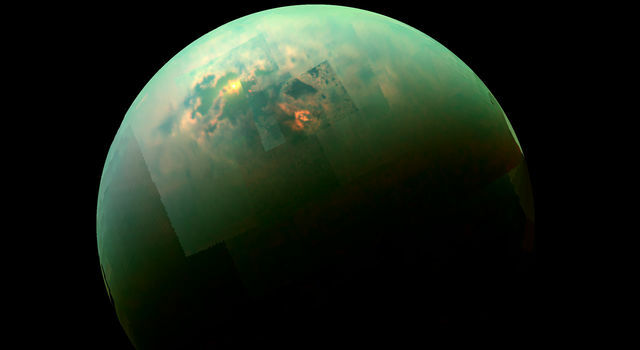 Then the samples will be distributed to scientists worldwide for more detailed analysis." "The Japanese and NASA engineers and scientists involved in Hayabusa's return from asteroid Itokawa are proud of their collaboration and their joint accomplishments," said Thompson. "Certainly, any samples retrieved from Itokawa will provide exciting new insights to understanding the early history of the solar system. This will be the icing on the cake, as this mission has already taught us so much. "